Dark Magician First work of Darkness. Background is taken from Medieval fantasy. Much reference and modification work have been done. A total of 3 different magic staff are made so far, with 2 made through to release. 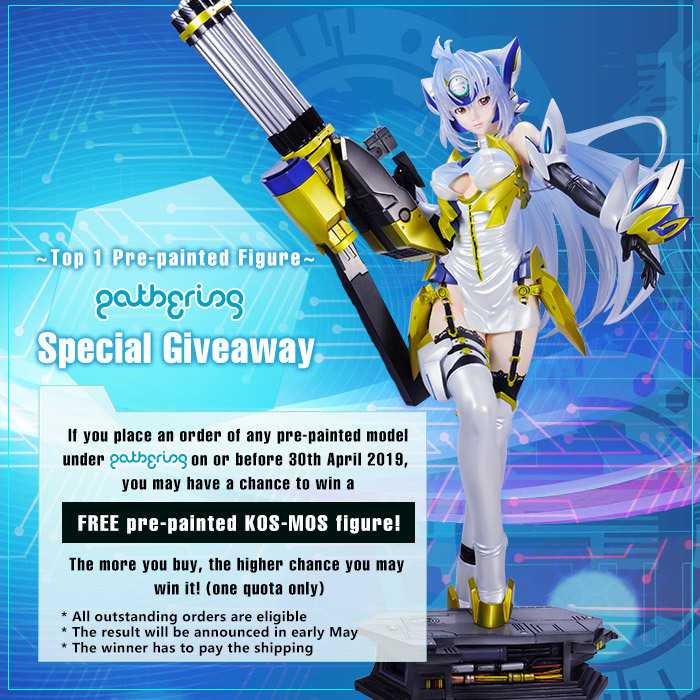 No matter GK or pre-painted version it is still in the Top 3 of our overall sales ranking. Shipping time to germany was about 2,5 weeks as expected. The resin and overall model quality is exelent. There were allmost no flaws in the resin and it was relativly easy to clean those up. The fitting of all the parts is very good too. Only minor gap fillings had to be done on the leg and arm connections. Thank you for this great resin kit. It was my very first one :) And i allready know that i will be buying more of them. Its really fun to build them. Amazing figure, all parts seems to be in perfect conditions. Nicely detailed kit. Looking forward to building it. I loved this piece so much that I pre-ordered the King Bat version of it. Fit was great with almost no cleanup or issues going together and the details are outstanding on it. Great addition to any fantasy collection. excellent detail and clean lines! Hi all! Today I received this model, and I can say - it's amazing. The resin quality is high, pleasant to the touch. Not too smooth, not too granular. The paint should hold well. No holes, bubbles, cracks or other defects were found on the model. Parts fit well for their seats. Some parts require a small correction, but this is not critical, and they can easily be corrected by using a model knife. The rod of the magic wand is made of some kind of plastic, and not of resin, but for me it is too flexible, so probably I will replace it with metal or wood, according to my vision of "The Ideal Model". I'm happy to buy this model and look forward to when I can assemble and paint it! an epic model, i'm very impressed by the quality of the details. Details on her armer are not the best... The Workshop has done to much prework (sanding) on her. Sad... I was really looking forward to get her. But the fitting is very good. Beautiful Kit and very fast shipment. Доброе время суток. фигурку получил! Коробка, упаковка в целости и сохранности. Все детали на месте. Заранее спасибо. С наступающим новым годом! С уважением к вам Дмитрий. Very nice. Packaging is always good. Details on this kit are nice but the body and leg received heavy over-sanding which caused some details to become damaged and will need to be repaired. Some tabs are also places in awkward places, this makes them difficult to remove due to the delicate and thin area. Fitting is mostly decent, some putty work is needed on the arms and legs to make the fit perfect however. Resin quality is top notch, beautifully smooth and easy to work with; only issues are with the over-sanding and bad tab placement. Thankfully this kit is going to be a modification and most of the damaged area will be removed. Overall I give this kit a 7/10, great resin and details but heavily over-sanded and bad tabs make this kit loose marks. Well cast parts and not much additional work needed before the actual paint job. Very nice figure. Very recommendable for beginners because of its clear and rather simple features. Nice quality of the resin and good fitting of the parts. Taps are okay but some are at difficult positions. Fantasy fans can't miss this kit. Dignified design. No problem on the casting. nice character. good resin. well protected. no broken part. Epic detail clean mould. Disappointed with the size. I have quite a collection of 1/6 and I honestly say this model 1/7 or even 1/8 not 1/6. Shipping was quick. Being this was my first kit ever, I am not sure I could judge in a fair manner. I have enjoyed working on this figure. She came well packed and each piece looked fairly nice needing just a little prep work. The added pictures and directions was a nice touch to assist in the figures build. As long as one takes their time, this kit is worth the work. 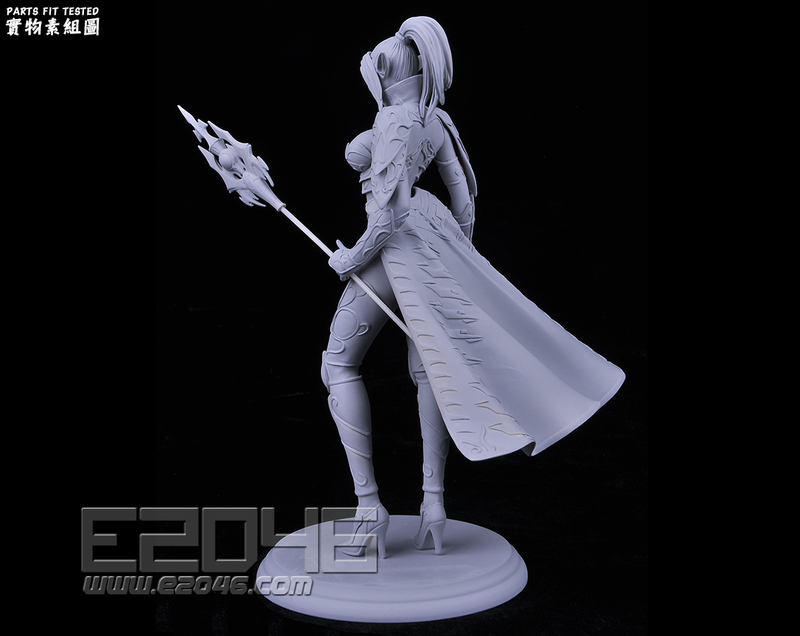 The most beautiful Elf from ORI figures. Some pieces need a little work to be perfect. So much details on every piece... a must ! Really beautiful figure, but some of the flashes are pretty hard to remove without damaging anything. Nice cast and resin. Perfect fit. Really nice model. Perfect package as always. Arrived in perfect condition. No breakages and everything looks good. Can't wait to start on it. Totally satisfied with this item. Good addition to the magical collection! Very good delivery service and time, well package, and beautiful sculpt. Excellent service.